Cross-country skiing in Finland: An endangered tradition? When I was a child I did not like cross-country skiing. One reason was that like many other schoolmates in Finland, I had no other option than to ski to school throughout the winter, even when temperatures were below -20 C, and even though my skis were too big because I got them from my sister and so old that they could have broken anytime. When I decided to write my dissertation in Austria about climate adaptation of winter tourism, I found I still couldn’t get away from skiing. My professor at the University of Natural Resources and Life Sciences (BOKU) asked me to join a research team investigating this topic. “What a great tradition you have in Finland! My friend and colleague from METLA (now Natural Resources Institute) in Finland would love to do research with us but with somebody who knows about cross-country skiing! You are the perfect match!” I guess I was too shy to admit that I was not excited about having cross-country skiing as a case study—but I decided to give it a try. Cross-country skiing is socially and culturally a very important activity in Finland, with considerable health benefits. Forty-two percent of the population practice skiing annually and 98% have the skills. 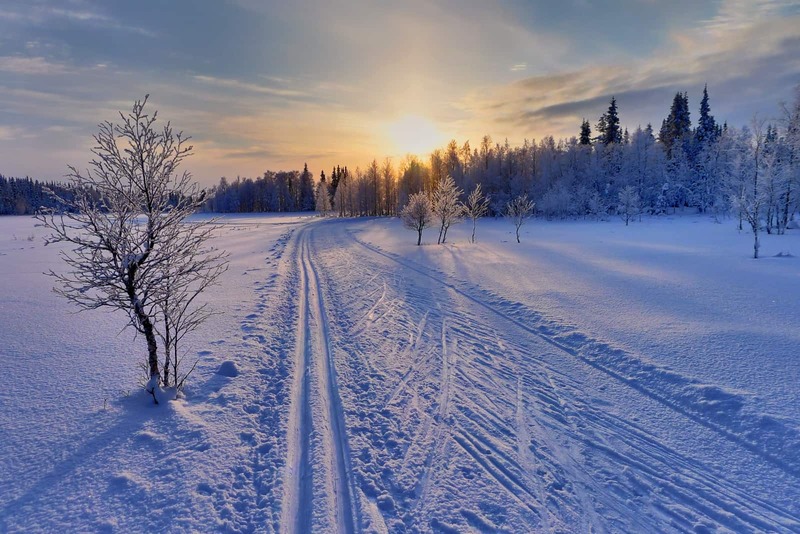 But cross-country skiing, like other snow-based activities, is affected by climate change: even Nordic countries are now seeing lack of snow, shift of seasons, and extreme weather events. The winter 2015/2016 has been no exception. Many Finns are concerned that losing this activity would lead to reduced well-being and loss of cultural tradition. Furthermore, economic impacts on tourism regions brought about by a decrease in skiing would cause problems to local economies heavily dependent on snow-based tourism. Although vulnerability indicators of some other tourism sectors such as beach tourism exist, nobody had thought about cross-country skiing. So we decided to develop an index, based on climatic observations together with extensive survey data on skiers living in climatically different regions in Finland. We found that exposure to changes in snow conditions have a considerable effect on regional vulnerability. The most vulnerable skiers are in southernmost parts of Finland, which makes sense. But it is not only the amount of snow and length of winter that matter. We also found that skiers in North and East Finland have the highest capacity to adapt, as indicated by their ability to ski: having the necessary skills and equipment, as well as capacity and willingness to travel to be able to ski. However, the results also show that if it we could enhance these components of adaptive capacity, also the skiers in the south would have a chance. If there are no adaptation options (no artificial snow tracks, no indoor skiing facilities, or simply no interest to use these, or no money or time to travel to be able to ski), in the short term the Finnish cross-country skiing population will face impacts on health, well-being, and quality of life. In the long term, the skiing culture could be lost. Furthermore, decline in demand would lead to regional economic losses in tourism-dependent local economies. Attempts are being made to maintain the skiing tradition. 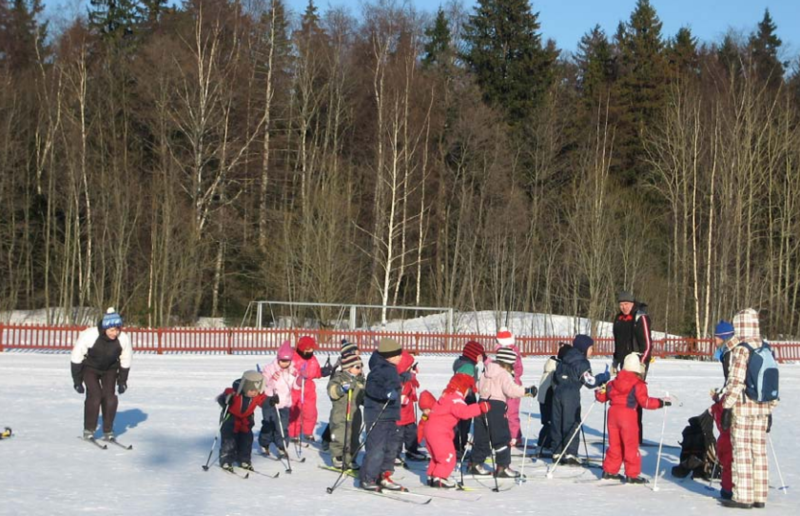 Nowadays there are a lot of organized activities where kids are introduced to outdoor activities in a playful and educational environment, and ski school and clubs are being established. They play an important role to create a close and pleasant relationship to nature and increase motivation for skiing. But of course the most important element for skiing is snow. I have always had a very close relationship to nature. Believe me or not, sometimes I do go skiing although it also brings back the unpleasant memories. Despite them, wintery landscapes and nature experience have motivated me to continue skiing as an adult. The gray and rainy winters make me worried and I simply cannot see myself skiing in a ski tunnel… Albeit “you will never know the true value of a moment until it becomes a memory“, I want snow! Landauer, M., & Sievänen, T. (2011). Suomalaisten maastohiihtäjien sopeutuminen ilmastonmuutokseen. In T. Sievänen & M. Neuvonen (Eds. ), Luonnon virkistyskäyttö 2010 (pp. 91–101). Vantaa: Working Papers of the Finnish Forest Research Institute, 212.